Keith is a graduate of East Carolina University. He grew up in Danville, Virginia, and graduated High School in Cary, North Carolina. He is an avid boater, golfer, tennis player, fisherman, diver, traveler, and amature oenophile. He and his wife, Marilyn, have one furchild, a 7 pound certified therapy Chihuahua, named Cali, who makes everyone smile everyday! 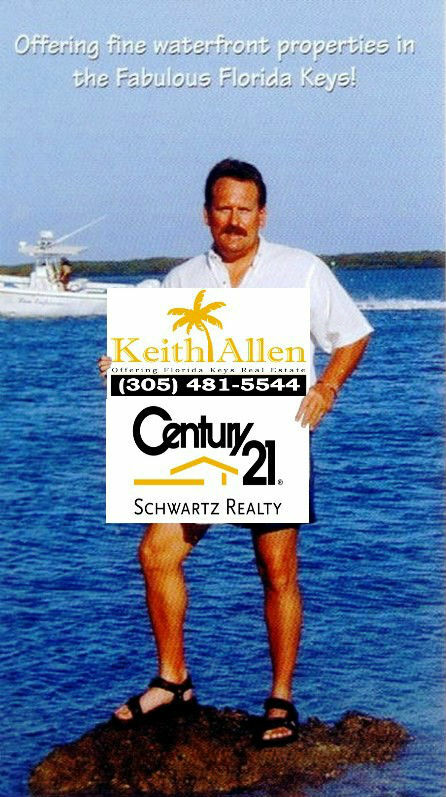 Keith has been a full time Realtor in Islamorada since 1995. He specializes in luxury waterfront properties in the Florida Keys. Keith represents buyers and sellers in the purchase and sale of single-family residences and income property primarily in the Islamorada marketplace but work throughout the island chain. He truly loves this area and prides himself on his knowledge of current transactions, community issues, neighborhood information, and related services, including mortgage, insurance and inspection information and just as important, he knows a thing or two about fishing and diving the Fabulous Florida Keys. He is a customer driven Realtor dedicated to achieving results and providing exceptional service. If you are in the market to buy or sell a home, Keith will put his 20+ years of real estate expertise to work for you!